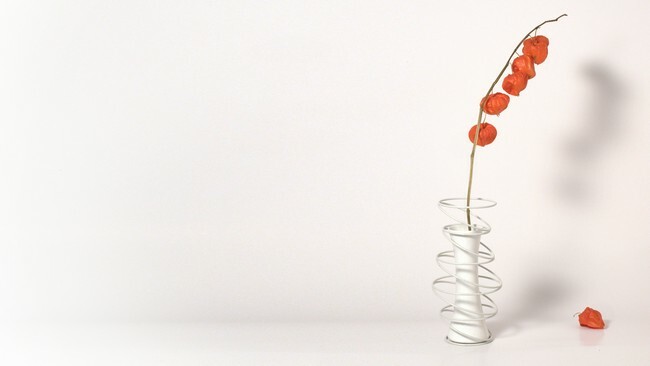 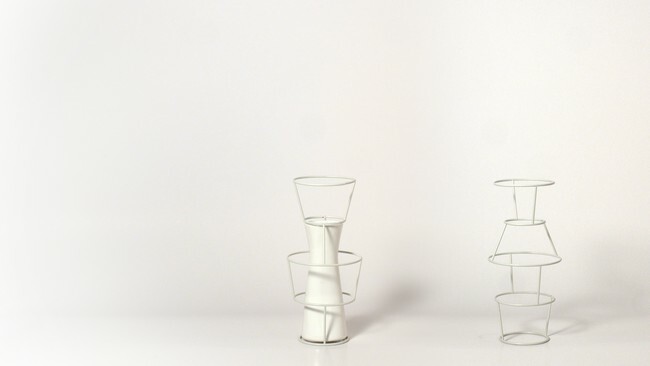 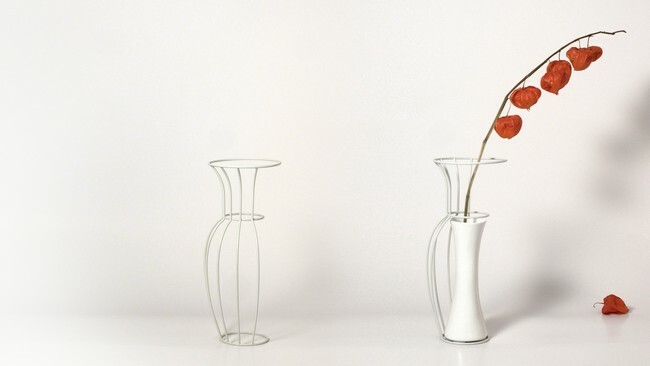 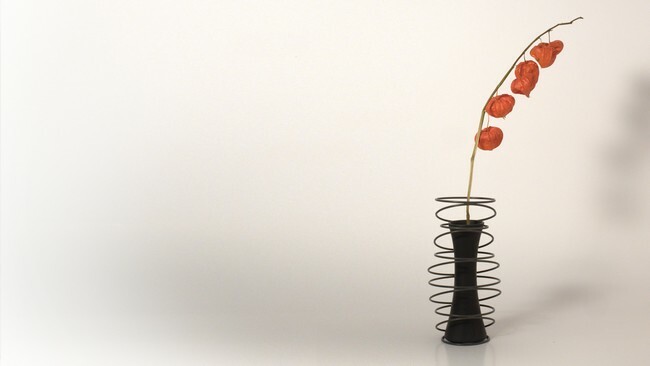 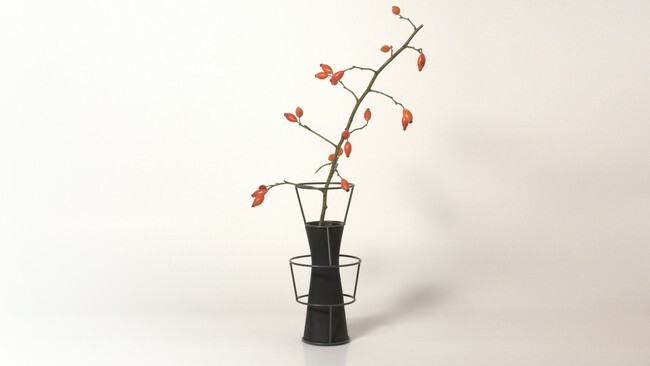 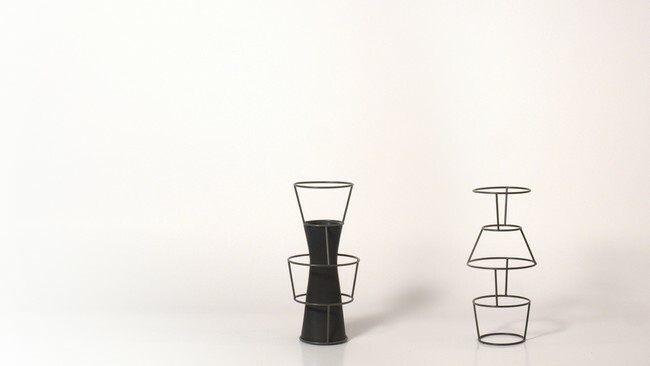 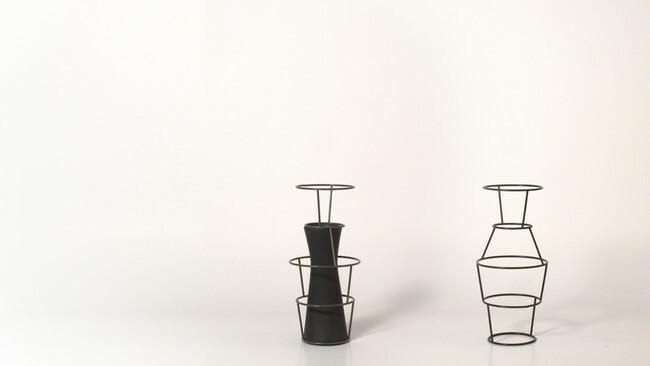 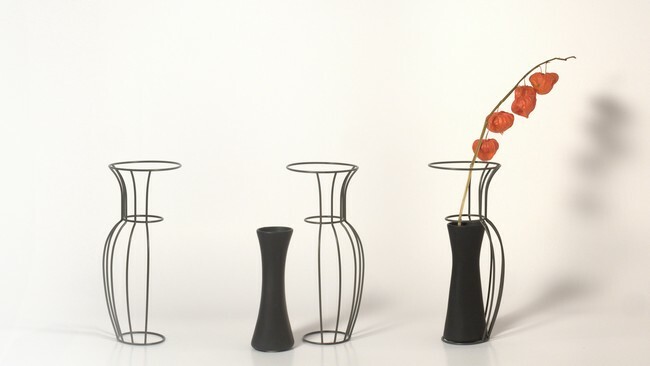 Collection of six models of steel wire vases. 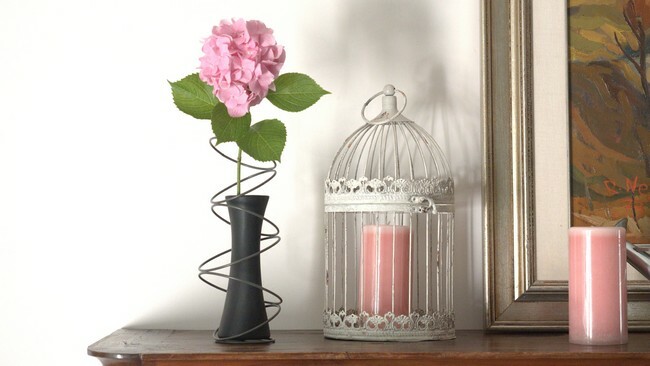 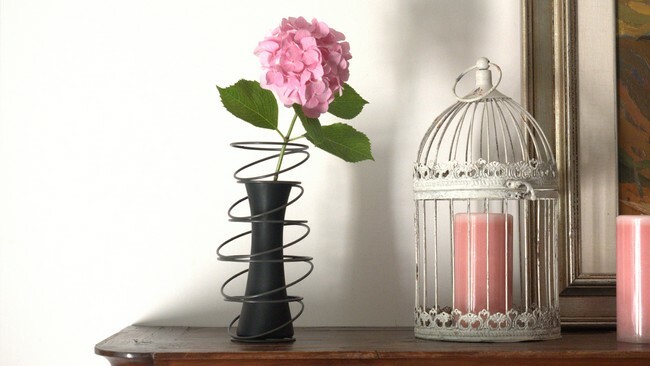 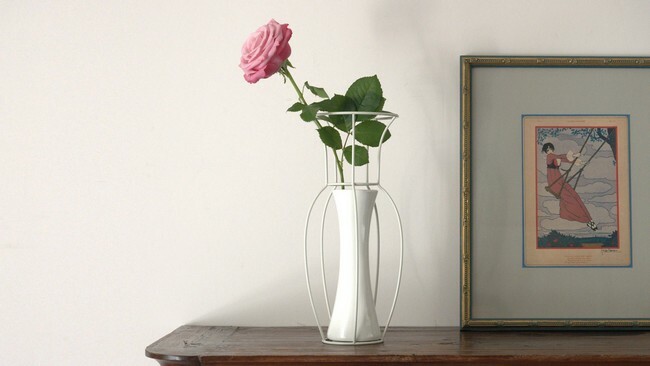 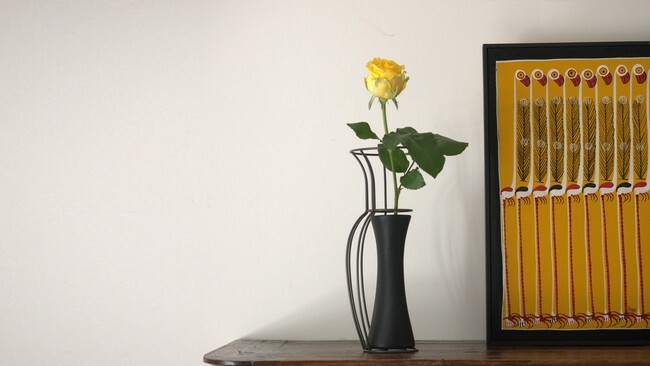 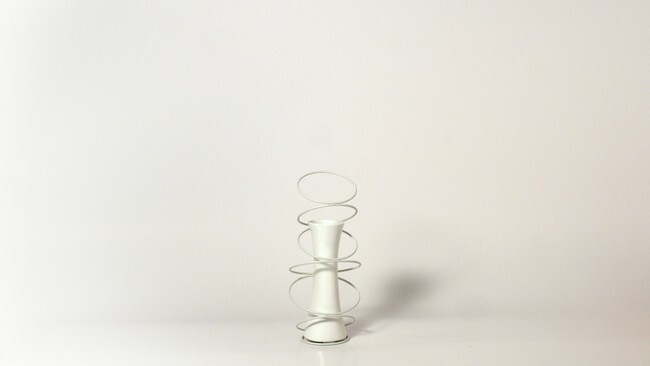 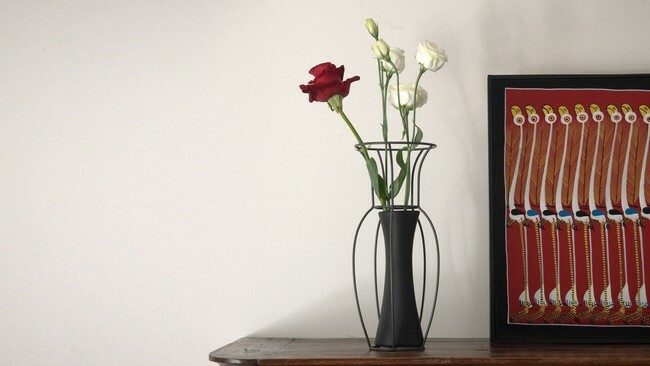 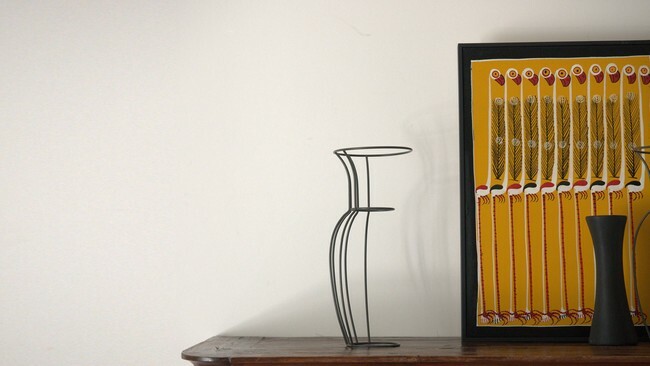 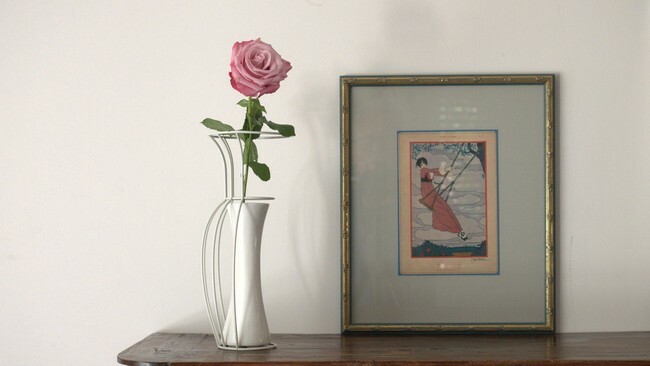 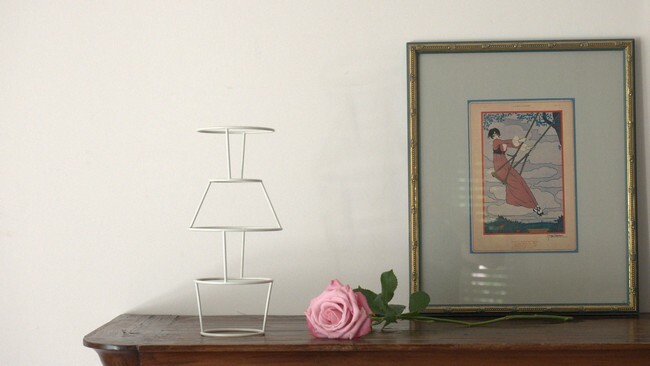 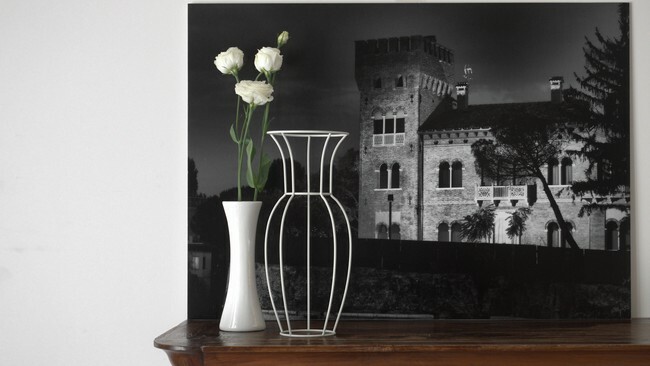 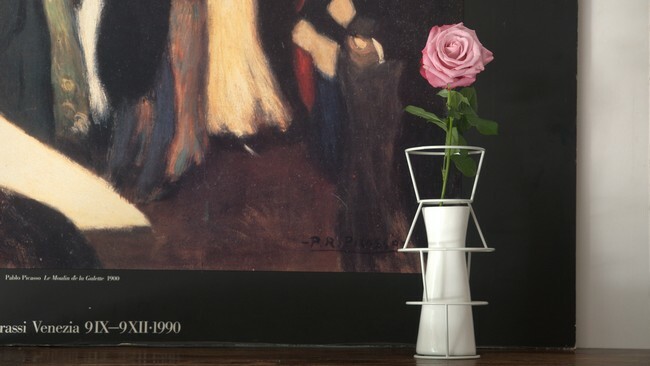 The wire cage draws the space around a ceramic vase made in Venice. 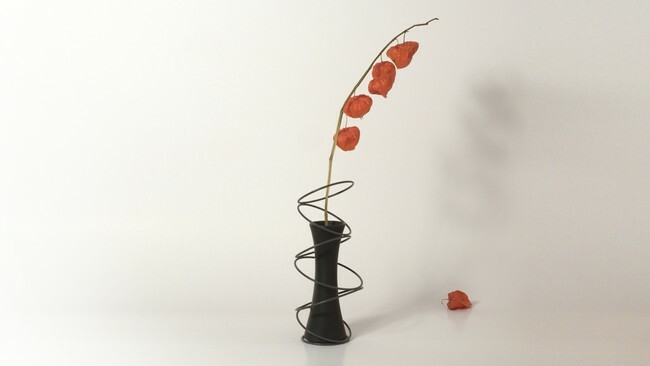 Steel wire is bented, then is welded and powder coated in various colours. 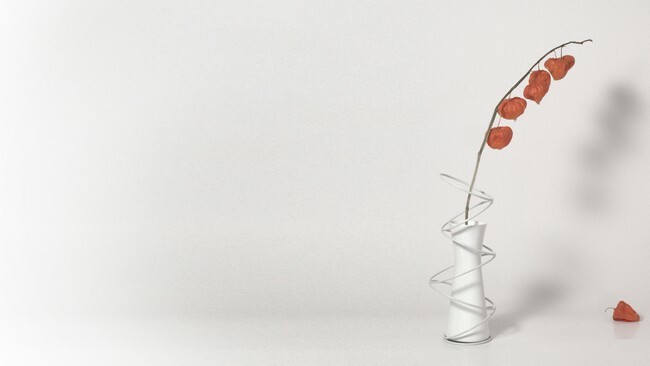 The name comes from “fil’ ‘e ferru” in Italian named “spirit of Sardinia”, when spirit was produced clandestinely, the stills were hidden underground and tied with steel wires, sticking out from the ground. 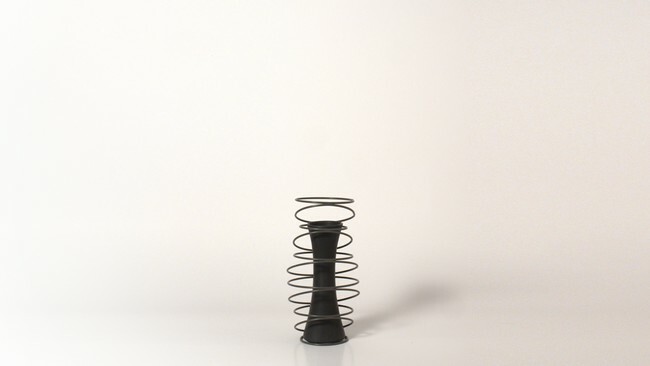 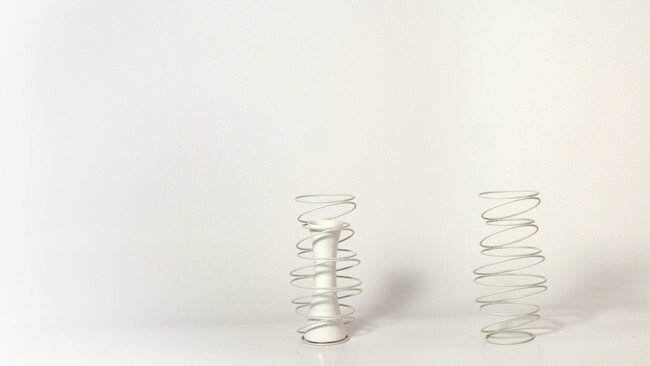 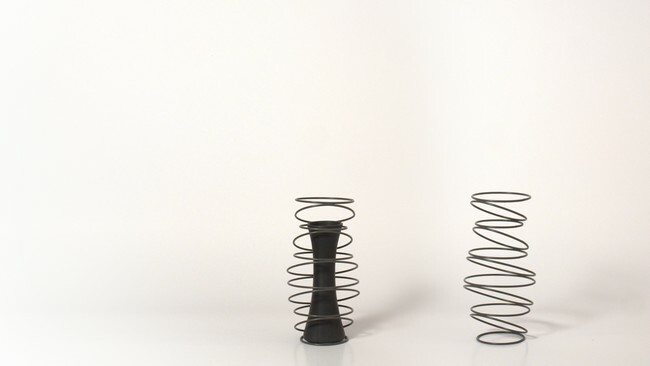 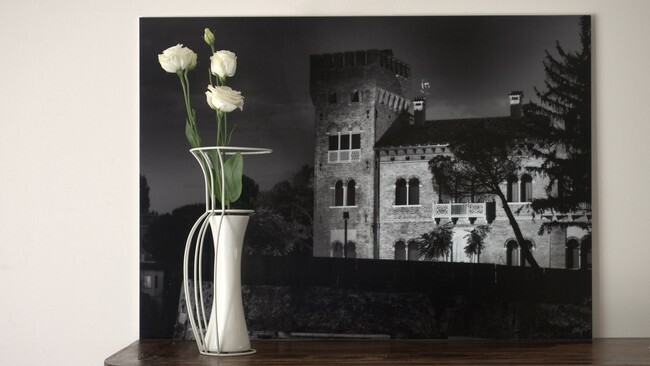 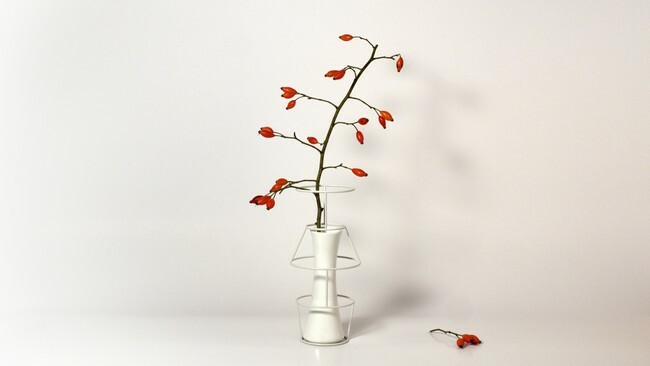 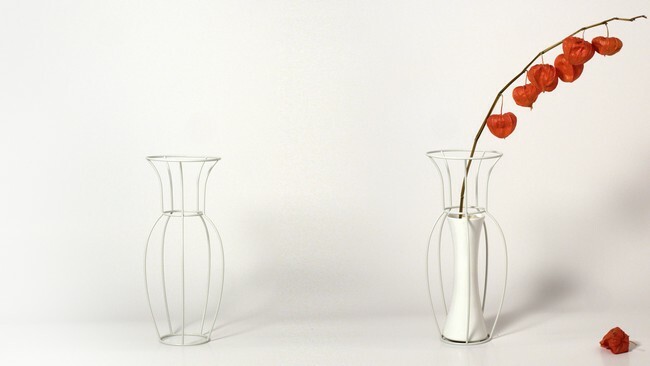 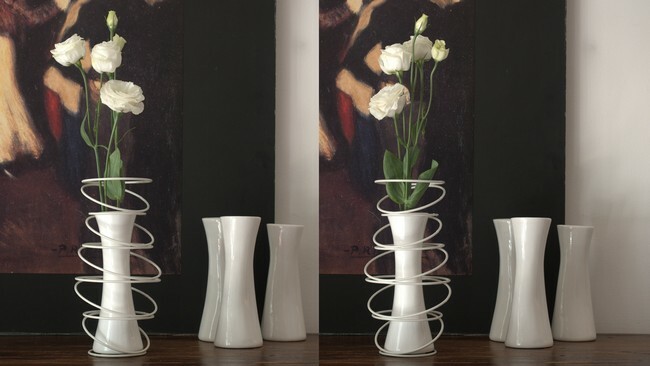 The vases Filuferru are available in six models. 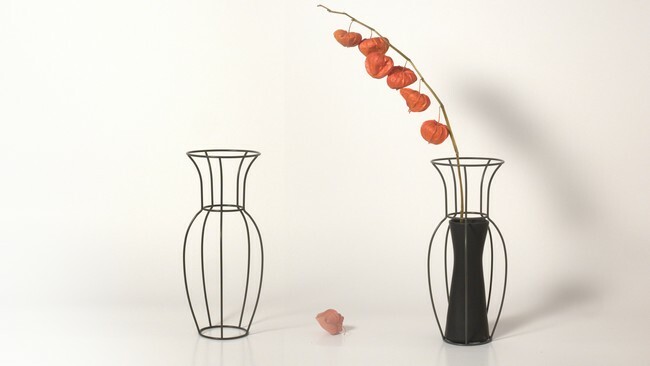 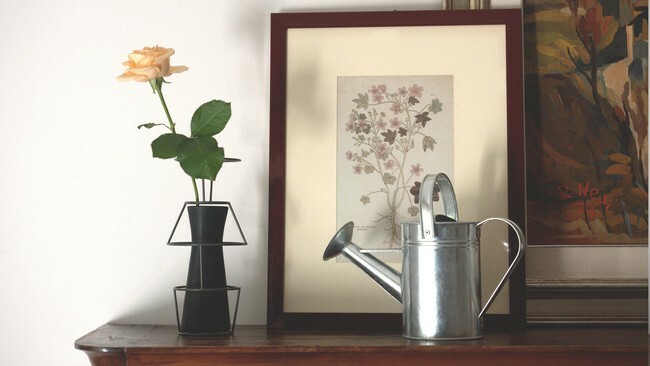 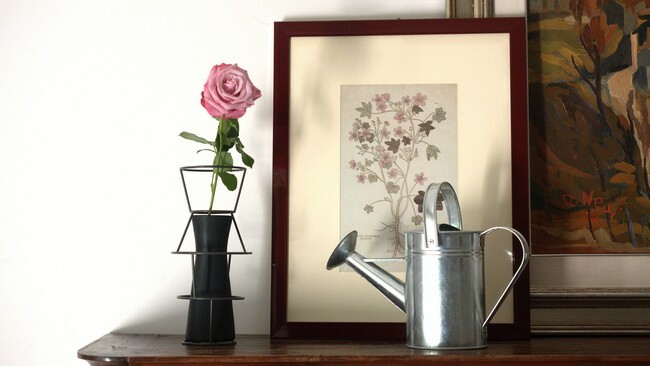 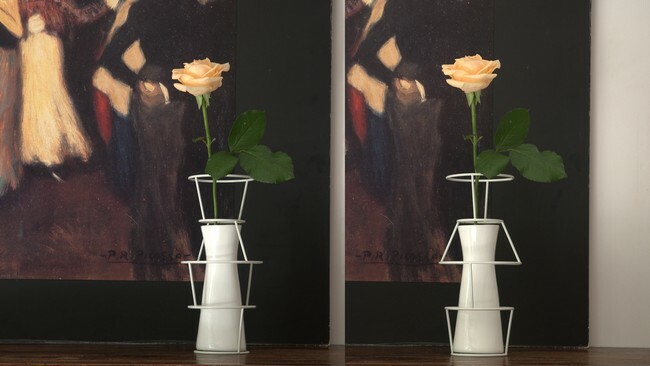 The vases Filueferru are on sale alone (only the wire cage, you will use your own container, which can be a cup, a glass or whatever you want) or with its ceramic vase. 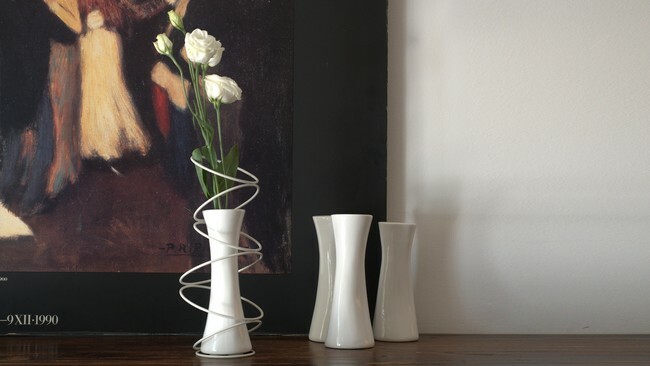 Filueferru are available in two colors, “wool” white or “umbra” dark gray.